No matter what industry, there will come a time when you will need a custom solution. We can help turn your vision into a reality with our custom carbon fibre solutions. 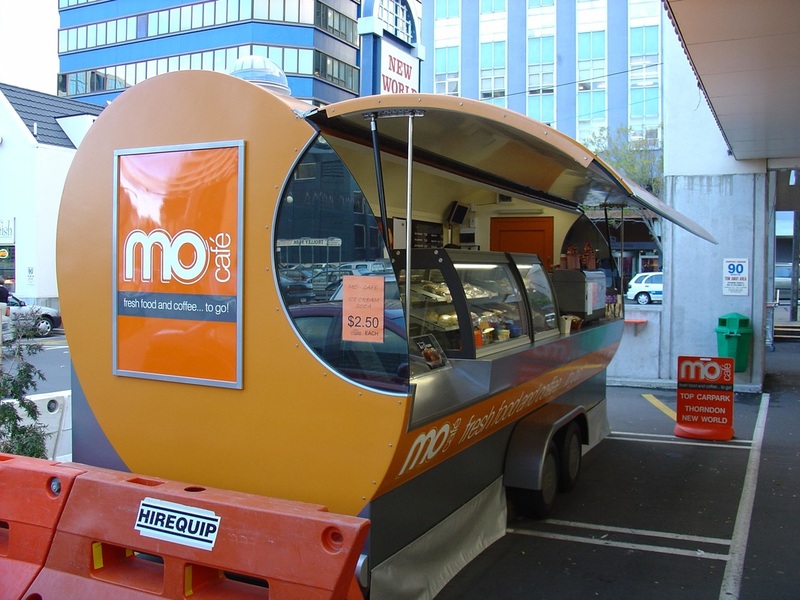 In 2004 Trutech fibreglass was commissioned by FPG (Future Products Group) to build a large mobile cafe for a customer in Wellington. FPG designed the cafe and it was left to Tru-tech to build it. The first thing was to build the internal surfaces pattern. This consisted of an MDF finished and sprayed with Duratec to achieve the desired finish. The first layer of fibreglass was then applied after many wax releases. Once the first layer was done the conduits and timbers for later fixings were glued to the laminate, followed by foam for insulation and strength. The foam was then shaped, sealed and laminated. Once the final laminate was complete the faring process began, this was to be a lengthy process. Finally the trailer was ready for painting. After painting it was left to FPG to carry out the installation of the retail cabinets etc.